Arrive Kilimanjaro Airport and transfer to DikDik Hotel for overnight. Morning transfer to Lake Manyara Airstrip for scheduled flight to Grumeti. On arrival proceed Game Package. 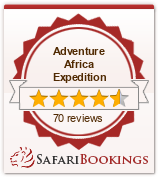 Full board accommodation and Game Package with Grumeti River Camp. Transfer to Grumeti Airstrip with camp vehicle for morning scheduled flight to Manyara and proceed to Ngorongoro Crater Lodge for game Package. Transfer to Manyara Airstrip for morning flight to Arusha and transfer to Impala Hotel for lunch. Late evening transfer to Kilimanjaro for departure flight.